Acid staining can make a common concrete floor look like expensive natural stone flooring. Not only is it a fraction of the price, but for people allergic to carpeting materials, it brings much relief. Another great application is in houses with radiant floor heating. Radiant heating is at its most efficient when insulating floor coverings like tile or carpet are minimized. The process of staining a concrete floor, while not overly complex, it can be tough to get the results you want. Most folks are probably better off hiring a professional contractor – it’s a risky project for the do-it-yourselfer. 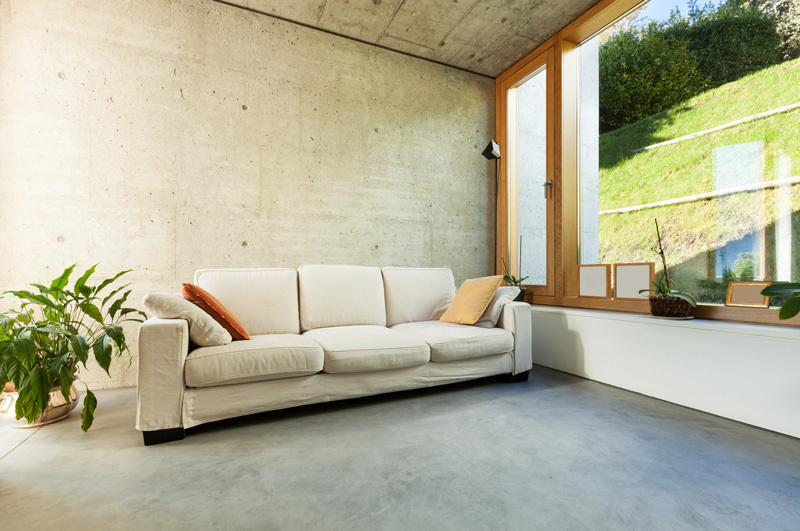 If you’re not familiar with it, concrete stain isn’t a paint or finish coat. It involves a chemical reaction on cement materials. Typically, a water-based solution of hydrochloric acid and inorganic salts, the stain reacts with minerals and lime in the concrete aggregate, and the result of the reaction is coloring. It works on new or old concrete and is fairly durable if you maintain it with sealer or wax, since it won’t stain or chip. It can also be applied to both interiors and exterior floors – walkways, bathrooms, entrances, driveways, living rooms and patios are all fair game. When it’s finished, stained concrete looks a little like marble, but more dappled and less uniform. The concrete will mostly be earthy brown tones, with hints of red and green. It’s possible to make your own tint stain by mixing colors or applying at dissimilar rates. 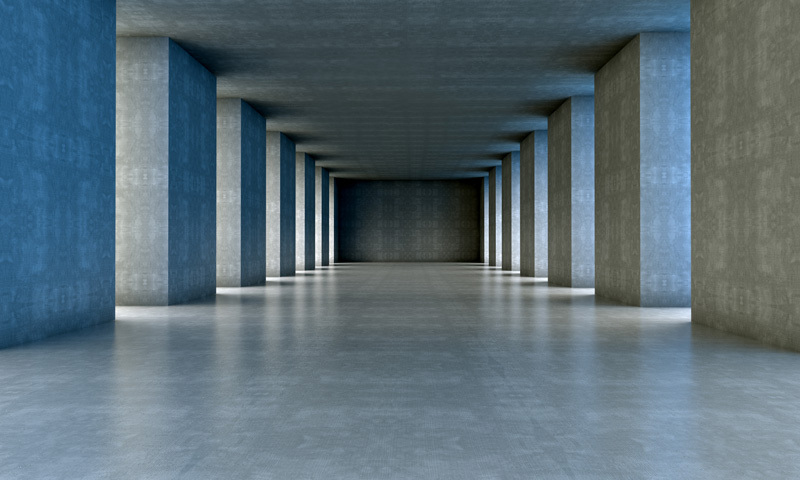 When you stain a concrete floor, though, don’t expect the stain to be uniform or have an even tone. 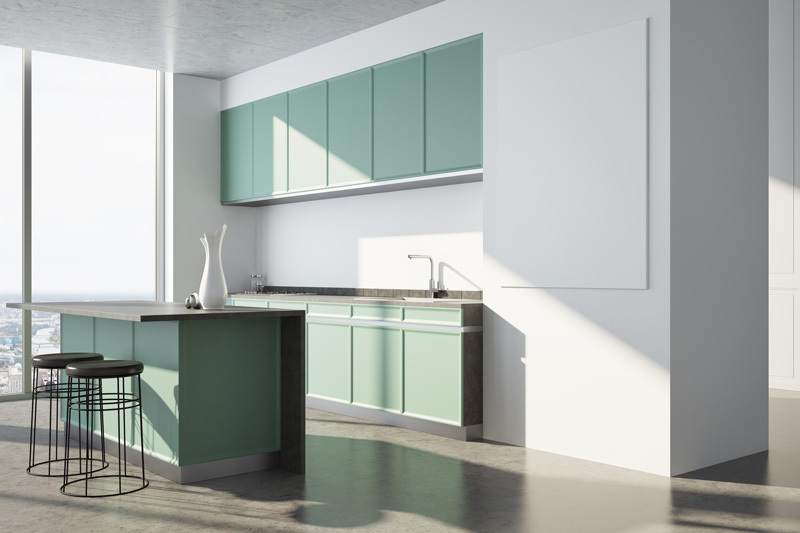 Plan your room décor and color scheme accordingly because you’ll get different reactions from areas of the concrete, and even a seasoned pro will be hard pressed to predict what the final result will be. Surface prep for acid staining concrete depends on what condition your slab is in. Newly poured concrete only needs an allowed time for curing- three weeks after pouring, then some rinsing and scrubbing. 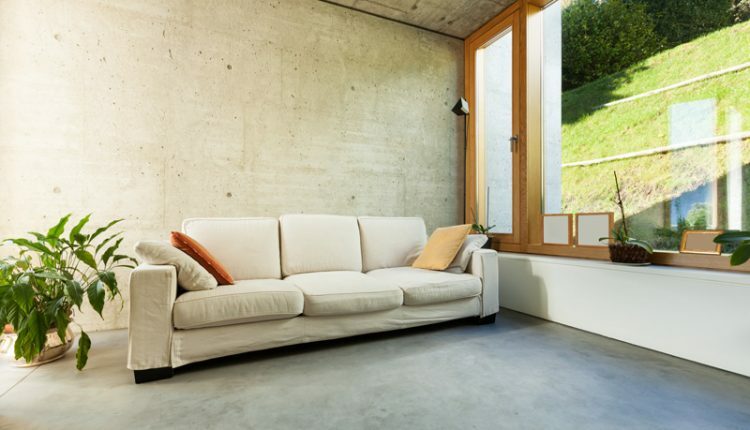 Older concrete is a different story: thorough cleaning is required because any dirt, grease, paint, sealer or even curing agent will keep the stain from penetrating and reacting as it should. Do a little test area to make sure it’s ready. 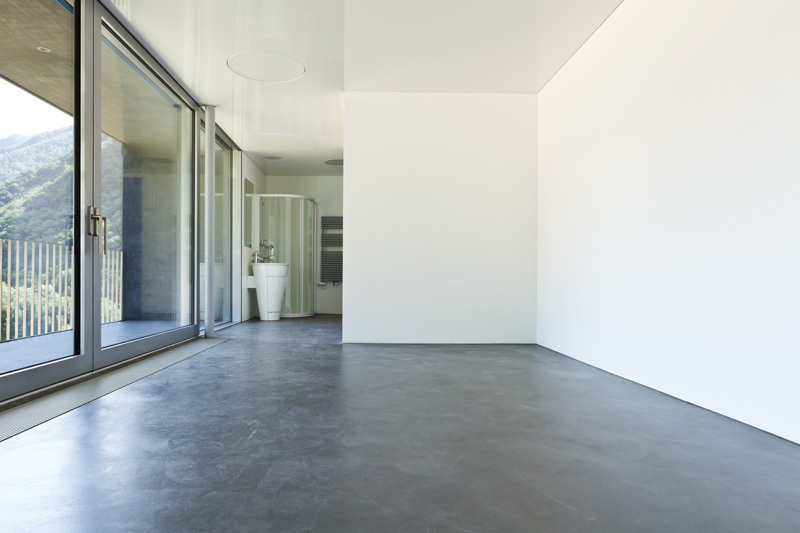 Newer poured concrete will require less stain than older floors, but in general, a gallon of water added to one gallon of stain will cover around 400 square feet. Apply the stain with a non-metallic brush or broom, working in the cooler morning or evening hours, rather than in the heat of the day. Be careful to protect yourself from spillage, drips and fumes from the acid stain, and follow the manufacturer’s precautions. After application, you need to cleanup by sweeping away any leftover stain and residue with a broom. When the floor is thoroughly dry, it is a good idea to apply a sealer agent and then wax it. If you are in the market for natural stone flooring, a new look for your basement or patio, or just looking for new remodelling ideas, stained concrete is something you should look into.